Depending on how you look at it, California’s most beloved wildlands are either under siege or experiencing a wellspring of support. In the current political atmosphere, bursting with assaults on bedrock environmental laws and protected public lands, it seems particularly important to recognize and spread the word about whatever pockets of optimism and progress you can find. For example, two recently introduced pieces of legislation that seek to protect hundreds of thousands of acres of some of the most spectacular wildlands in the state. Just a couple weeks ago, Congressman Jared Huffman (D-Sausalito) introduced a bill that would designate a 730,000-acre River Restoration Area in Trinity and Humboldt Counties. It also calls for wilderness designation, the highest level of protection, for more than 260,000 acres of federal public lands and designates 379 miles of new wild and scenic rivers. The Northwest California Wilderness, Recreation and Working Forests Act also addresses the critical issue of massive wildfires by requiring better interagency fire coordination, allowing selective timber harvesting in unnaturally dense replanted forest areas and reducing fire risks near roads and private property. The bill promotes better access for recreation across a wide area including Del Norte, Humboldt, Trinity and Mendocino Counties, stretching from foggy coastal redwood groves to snowy mountain peaks. It calls for the assessment of trail improvement needs and a feasibility study for new mountain biking routes. Huffman’s proposed legislation also confronts problems created by illegal marijuana growers, who left behind toxic residues and damaged streams in public forest areas. Along California’s wild and rugged central coast, the Los Padres National Forest and Carrizo Plain National Monument would receive greater protections from a bill introduced less than a year ago by Rep. Salud Carbajal (CA-24) and Sen. Kamala Harris (D-CA). The Central Coast Heritage Protection Act would safeguard close to 245,000 acres of wilderness, create scenic areas encompassing nearly 35,000 acres, and designate 159 miles of wild and scenic rivers. This proposed legislation would also establish the approximately 400-mile Condor Trail as a National Recreation Trail, creating a hiking route connecting northern and southern sections of the Los Padres National Forest. These bill proposals have a wide variety of supporters, including small business owners, local elected and community leaders, and residents concerned about preserving clean air, fresh water and the natural beauty of their regions. Business owners recognize the benefit of protected public lands nearby—since they depend on the dollars generated by tourism and the millions of visitors who love to hike, fish, hunt and camp in California’s wild public lands. Now for the bad news. California could lose hard-fought gains in several regions. One of the biggest battlegrounds is the Southern California desert, where earlier this year, the Interior Department announced it was canceling a plan to protect 1.3 million acres of national conservations lands from new mining claims. The agency is also considering an overhaul of the Desert Renewable Energy Conservation Plan (DRECP)—an agreement that was achieved following an eight-year collaborative process involving federal, local and state government, energy producers, conservationists, local stakeholders and recreation advocates. Given the current pro-industry and development agenda of the Trump administration, this re-opening the DRECP is viewed as a likely attack on the important conservation gains in the plan. The DRECP was celebrated as a step forward in the battle against climate change, and a model for other states seeking to guide the permitting of large-scale renewable energy projects to less-sensitive locations, where they would cause the least environmental harm. The plan supports renewable energy by designating close to 400,000 acres of “development focus areas” on federal lands where projects can get expedited permits. 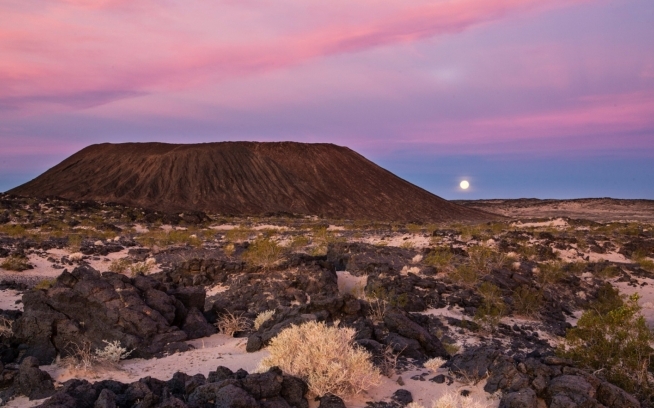 At the same time, the plan protects 4.2 million acres of the California desert’s most sensitive habitat for wildlife and native plants, as well as Native American historic and cultural sites. A total of 3.5 million acres are designated under the plan for recreation, including hiking, camping, rockhounding and off-road recreation. The fate of this massive renewable energy and conservation plan is now in the hands of the Bureau of Land Management—where officials are expected to release a decision on possible amendments any day now. Turning to California’s coastal waters: early this year, the Trump administration, as part of its energy dominance platform, announced it was considering opening most of America’s coastal waters to oil exploration and drilling, including waters off California’s coastline—taking direct aim at existing protections provided by marine sanctuaries. This could mark the first time in decades that new leases are offered for California offshore drilling. If the Interior Department follows through, it will certainly spark a fierce political fight and a flurry of lawsuits. So, the Golden State, like other places across the country, is both under siege and pushing back hard with sound conservation proposals. There has never been a more important time for Californians and nature lovers across the country to know the issues affecting public lands and to speak up for the environment. There are many ways to get involved—from increasing your level of civic engagement to joining a local conservation group, or making donations to organizations that are fighting for the environment. 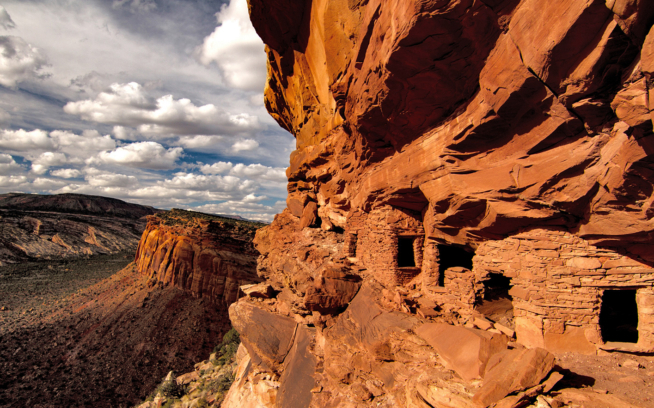 Check out Patagonia Action Works at patagonia.com/actionworks to learn more about public lands projects close to home. Based on decades of exploring the backcountry of the golden State, artist-adventurer Obi Kaufmann presents the California Field Atlas. Blending science and art to illuminate a multifaceted array of living, connected systems like no work has done before, the California Field Atlas is full of character and color, the ultimate road trip companion and love letter to a place.